Kenneth Axt Painting is proud to have served the painting needs of Acworth residents for more than 40 years. We provide interior & exterior house painting services, from the homes on the shores of Lake Allatoona to the executive homes of Governor’s Towne Club & Brookstone. We have the solutions and product range to service the painting needs of your home. Part of the charm of Acworth is the mix of architectural styles and exterior materials and finishes. The historic bungalows surrounding the downtown district, brick ranchers from the 60s & 70s, cedar sided contemporary homes from the 80s, newer construction featuring concrete siding or stucco, executive style homes of brick, stone and siding. Our crews are professional painters with the skills necessary to prepare, repair and paint a variety of exterior surfaces: brick, stucco, Hardie board (concrete siding), wood, vinyl and PVC. The wide array of exterior styles gives way to varied and “interesting” interiors. Our interior services include wallpaper removal, updating or installing trim work, painting out stained trim and built ins, kitchen and bath cabinetry and more! Our dedicated interior paint crews are highly specialized and hand selected by the owner of the company to meet his exacting standards. We’re sure that you will appreciate their attention to detail and feel very comfortable having them in your home. 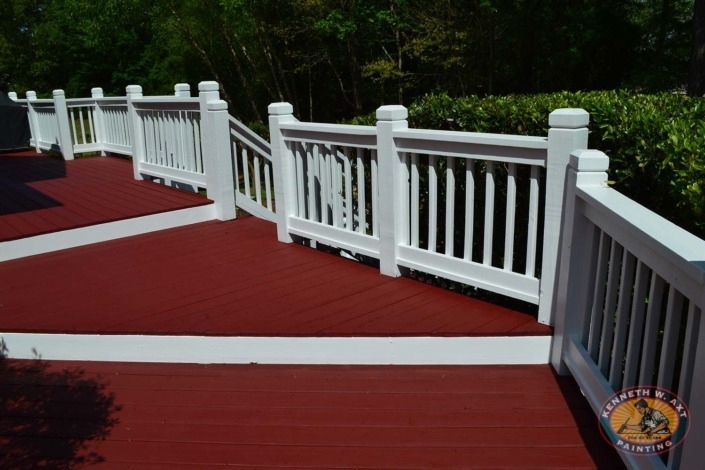 Ancillary services include deck and fence paint/stain, pressure washing, maintenance painting and more. Whether you are painting the interior of your newly constructed Acworth home before moving in or freshening the living spaces of your well-loved home, Kenneth Axt Residential Painting Company is always the right choice! We provide comprehensive house painting and design services that will provide you with a long lasting, durable finish that you will be proud of for years to come.